Nintendo Labo's cardboard inventions may well be a great way for people of all ages to get hands-on and let their creativity fly, but it would be understandable for parents to have their concerns about splashing the cash on a strange, new concept. Luckily, Nintendo is on hand to let families try out the fun for free in a series of workshops headed to North America next month. The workshops aim to give some of Nintendo’s younger fans a safe, family-friendly space to experiment with the Labo play kits; the events will be taking place all across the country and will encourage kids to let their DIY talents run wild. 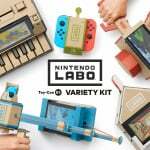 The workshops will be an hour long, offering interactive activities using the Nintendo Labo Toy-Con 01: Variety Kit, and on-site “lab assistants,” (experts in white lab coats and fun coloured shirts) will also be around to help attendees learn the ins and outs of Labo. Admission is free of charge, and kids between the ages of 9 and 12 years old are encouraged to attend. You can see a list of the areas hosting events down below, and you can get more details on your chosen area by heading to this link. Of course, with Nintendo Labo Toy-Con 03: Vehicle Kit - the third Labo set to be announced so far - launching on the 14th September, now could be a great time to see what all the fuss is about. If you want to attend an event, make sure to keep checking the link we provided above - you'll need to register your family on the website to attend. Do you still play with your Nintendo Labo sets? Are you yet to give it a go? Let us know if you'd like to attend a Labo workshop in the comments below. Don't get me wrong, this is adorable and I'm sure that the kids will have a blast but why didn't they do this during the 3 MONTH LONG SUMMER BREAK? Perhaps they didn’t want to interfere or compete with family vacations or summer camps. I do like this new marketing style of getting out in the public and showing things. Reminds me of the craft weekends at Lowe’s. Teaching kids ingenius ways to work with cardboard in case they are homeless one day - brilliant! Not doing it during the Summer break likely only hurts for the people that don't live in or around those major cities. It would be nice if it was during the Summer, so out of town families could be more likely to attend. But as HobbitGamer said, they would lose a lot of potential attendees to family vacations and Summer Camps. It's a double edged sword, so they probably just went with the one closer to their marketing plan and prep for the holiday push. It kinda bothers me that Nintendo is so aggressively promoting Labo as the signature product for the Switch. Here they have one of the best and most innovative pieces of gaming hardware released in years, and they seem to be most prominently marketing it as a mere toy. Maybe they think kids are their bread-and-butter demographic? And, yeah, the timing of this is a bit odd considering that kids are now back in school. Also the limited number of cities will make this hard for the majority of people to attend. Most kids are either already back to school or will be next week. Maybe it'd be more reasonable if this wasn't a "Register online and drive 5+ hours to a location" but this seems like an inconvenient thing for just a weekend trip. This sounds great! But I live in Japan. Is that part of the U.S. yet? @NintendoFan4Lyf Future bum living in a cardboard house made of Labo! I honestly keep forgetting Labo is even a thing until an article about it pops up here. Labo workshops at Kidzania are hugely popular. Kids queuing 25 minutes for the 2X 25 minute sessions. When your Kidzania overall stay is up to 4 hours that's a big commitment, but one the kids are happy with. @ZeldaToThePast Are they gonna do a Labo Animal Crossing crossover? Contruct your cardboard box home, and then live in it! Larger J-Cons with a proper D-pad. Nintendo really needs to pipe down on this labo business. The amount of people who care about Labo is so insignificant that it isn't a surprise that Nintendo is pushing it so much. Still seems like yesterday when some users here were championing it as the next Wii Sports. Bring it to Chicago, please! @Equinox Using schools to sell products to kids. That doesn't seem ethical to me. I suppose this could be thought of as a very rudimentary, hopefully kid-friendly, introduction to very basic concepts of engineering. Nintendo used retirement homes and fitness centers to sell Wii Fit balance boards and Wii Fit to the elderly + soccer moms, and that worked out wonderfully. Labo is no Wii Fit, but it needs non-gaming institutions to sell its appeal to the masses. Playing LABO DOESN'T know the seasons. 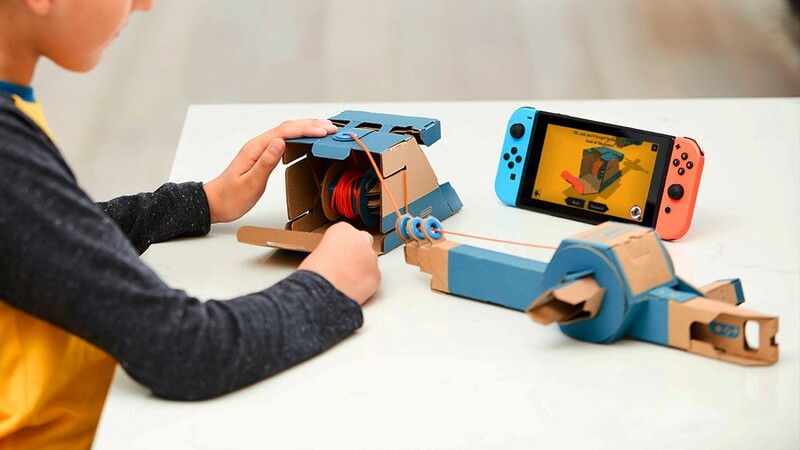 You can play LABO anytime, doesn't need to wait until Summer again. @Nater "patiently waiting for a Switch Pro (for the adults)"
No thank you. Last thing we need is another "New 3DS" misstep. The Switch has a great library of games that gets better every day, which is what I think Nintendo should be promoting, not this Labo nonsense. Of course selling cardboard probably has a massive profit margin, so maybe that's why Nintendo is putting so much juice behind it. Say what you will, but I'm still in love with Labo. It was the perfect storm for me and my 3 small kids. This is nice. I would like to see more of this side of Nintendo. Kinda weird that they would be doing this, as I thought most kids between 9 and 12 would rather play Fortnite. I have to really agree with everyone questioning the timing. Even in Japan this is the end of summer vacations. Why now? @westman98 But it's a school, Westy! A place of learning that should be free from the taint of consumerism. @AxeltheBuizel Very true. I'm sure your average kid would say "**** this" to building cardboard toys that take hours to build and just pop Fortnite on. Ideally, yes, the education system should not be contamited by consumerism. But we don't live in an ideal world.